© Provided by Fox News The stabbing happened inside Binghamton University's Windham Hall residence building. 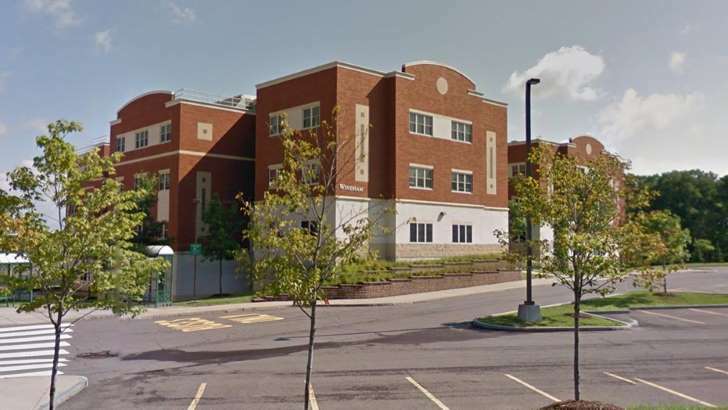 Binghamton University alerted students to the cancellation hours after first-year engineering student Joao Souza, 19, was stabbed to death on campus Sunday night. On March 9, Binghamton nursing student Haley Anderson, 22, of Westbury, Long Island, was found murdered at an off-campus residence. “Due to yesterday’s tragic event on campus, all classes are canceled today, Monday, April 16,” the university said in a statement posted on its website just before 8 a.m.
Souza's parents were in Brazil when they were notified of his death, Binghamton vice president Brian Rose told a news conference. They requested privacy, he said. University police found Souza seriously injured from stab wounds when they responded to a report of an assault in a dorm suite in Windham Hall after 10:30 p.m. Sunday, Binghamton University police chief Timothy Faughnan told reporters. Souza was taken to the hospital where he was pronounced dead, Faughnan said. The assailant fled on foot and was described as a “light-skinned male wearing dark pants and a dark, Puma hooded sweatshirt.” Faughnan said he didn’t know if the suspect was a student. Police from multiple agencies investigating the stabbing told the university that the stabbing did not appear to be a random act. Rose said Souza’s roommates had been moved to other locations on campus. Counseling was being offered to students and staff. Souza was a star soccer player in high school in Weschester County, a New York City suburb, Lohud.com reported. Anderson's murder shocked the Binghamton campus community. Authorities said she had been strangled, the New York Post reported. Binghamton student Orlando Tercero, 22, who was also studying to be a nurse, was arrested four days later in Nicaragua and charged with her murder. Binghamton is part of the State University of New York system.